Below we have compiled stories of success sharing personal accounts of how technical education has made a difference to individuals and to the lives around them. Coming from a poor family, John Mshana never expected to have an opportunity to attend a technical college. 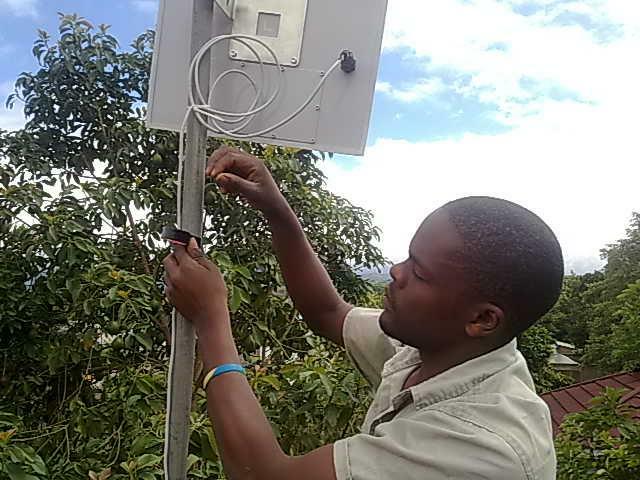 With support from ADEI he was able to complete his studies with a certificate in Industrial Automation. Shortly after graduating in 2009, John was hired by the local banana beer brewery, Banana Investment, to help install a new production line. The company's director hired two Germans to oversee the project, but soon after the equipment was installed it became clear that John knew the system just as well, if not better than the outsourced labourers. Now the company will not need to hire work from oversees to maintain the equipment, saving precious time and resources. John continues to work for Banana Investment as a technician, and uses part of his salary to help support his family and neighbors in his community. Bertha was one of the first women to graduate from KIITEC in 2009. Growing up in a very poor family, she managed to finish her degree with a loan through FTE. After working in the telecommunication industry, she was hired by KIITEC to share her knowledge and expertise as the Assistant Telecommunications Teacher, where she has been working since 2010. She works with students in the classroom and labs, teaching the hands on trainings that she attributes to her own success as a professional technician and teacher. John Nkya was one of KIITEC's first graduates from 2008. He has been working for the Arusha Lutheran Medical Center (ALMC) since January of 2009 as an Information Technologist. ALMC is one of the leading hospitals in the country, and one of the few that completely rely on telecommunications. Patient’s records, medical evaluations, test results and prescriptions are all tracked by the computer system that John is responsible for maintaining. Without John's invaluable service, the hospital would not be able to maintain its volume of patients or quality of healthcare. Godlisten first walked through the doors of KIITEC over 4 years ago originally enrolled in the 1-year certificate program. After exposure to the learning environment and opportunity to work with the equipment, Godlisten joined the NTA-6 specialization in Computer Engineering and Networking. Fast forward to his third year and he happily accepted an internship position with the school. Then finally following graduation in 2012, Godlisten was officially hired as a teaching assistant in Computer Engineering and Networking and Network Administrator for KIITEC. With a great start to his career underway, Godlisten has no regrets about the choice he made over 4 years ago. It was his father that bought Michael his first computer many years ago, and since the first moment he sat down at the keyboard, he was hooked. Before attending KIITEC Michael worked for his father’s business in the construction industry. But when his father died in 2010, he was forced to choose a new path in life. It was at this time he made the decision to return to school to pursue a career in IT and follow his dreams of opening his own computer company. Today, thanks to the education he received at KIITEC he is well on his way! Michael has opened up his own small business called Micks Computer Centre (MCC) where he repairs and teaches IT applications including Microsoft, Windows, Linux and Networking in the Arusha, Tanzania region. Compassion International Tanzania (CIT) is a Christian child development ministry dedicated to helping children in need throughout Tanzania. Shuk has been the director of CIT’s Arusha branch since August of 2010, where he manages a team of 10, including social and health workers, teachers and administrators. CIT sponsors 250 kids from poor families in and around Arusha in need of a safe place to play and learn. Every Saturday the kids enjoy classes in entrepreneurship, fine art, vocational skills, and more. In addition to his role as director, Shuk teaches the computer programmes class and is helping to implement a computer networking system so that all CIT branches can communicate more effectively. Jacob has been working for the Braeburn International School in Arusha since he graduated in 2009. After four years, he has become an integral part of the school, often holding multiple roles including the IT Manager, Network Administrator, and Network Technician. Whether its updating a coworker’s computer software, or installing new digital white boards, Jacob does it all. Since he started working, the school has increased its computers from 50 to 200, requiring a great amount of maintenance. As the only person working in his department, he hopes to soon bring on an additional employee to join his department. Emily was a graduate from KIITEC’s Telecommunications programme in 2009. He has held several jobs in the industry all over Tanzania, including a position as Technical Officer at Track Me Tanzania. He has also started his own company called Computel Techno Services, offering computer and network maintenance services to local business, industries and individuals. Despite financial setbacks due to his office being robbed, he is still self-employed offering printing and design work. His hope is to re-open Computel in addition to a programme that would empower Tanzanian youth seeking employment in the technical industry. Before studying at KIITEC Izack Mangesho had a degree from VETA in Electronic Installation. But without success in finding employment he decided to return to education and upgrade his skills at KIITEC with a 3-year specialization in Computer Engineering & Networking. After graduation Izack started his own company in graphic design called Rockcity which he runs when he is not working his part-time job at MAT-SEC helping with printing, photocopying, postcard, vouchers, textbooks and General supplies. For decades, local beer bottling plant Nyanza Bottling in Mwanza, Tanzania was required to call in experts from South Africa to maintain and repair their production line because they could not find any local expertise, resulting in loss of production time and profits. To date, the company has hired four graduates from the KIITEC programme who have acquired the competencies in demand. Each time their skills are implemented the company is saved the average waiting time of 3 days needed to bring in the experts from South Africa. This is equal to 350,000 bottles of beer not being produced! 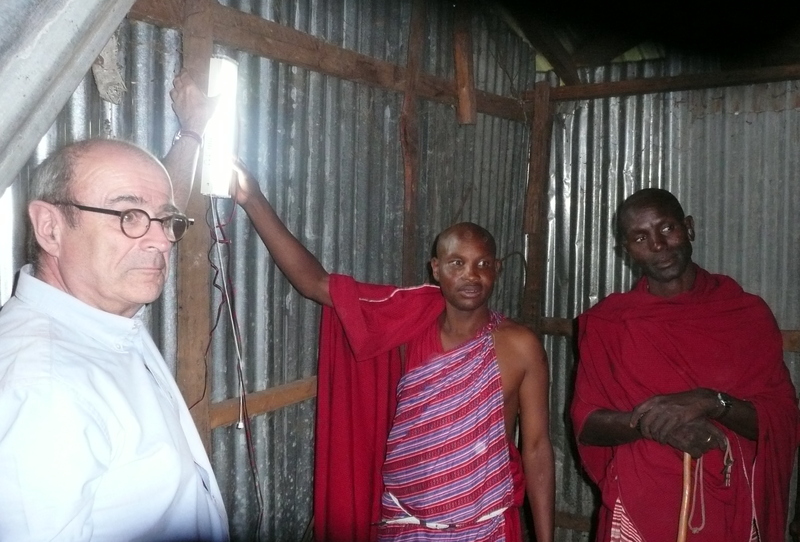 Through the encouragement of our entrepreneurial support team, Dickson Nkya, a graduate of our education programme started his own company to install and maintain solar panels in local Tanzanian villages, providing the first opportunity for many villagers to have access to electricity. For the very first time these communities now have access to light, Internet and mobile phones opening doors to many new prospects in life. Today Dickson runs his own company called Dykyan Technology.